Most fans of DDT are aware of its young boy program, otherwise known as DNA which stands for DDT New Attitude. These are the younger or more inexperienced men who come to DDT to learn the trade of wrestling and, usually through opening matches and DNA’s own shows, are able to bond with the fans before they graduate and become full-time roster members. Most people who follow DDT or Pro-Wrestling Basara are aware of Ryota Nakatsu, who graduated from DNA and now bounces between DDT and Basara. DNA serves to be what WWE’s NXT began as: a place for people to gain experience. It should be noted that the wrestlers here wrestle each other about as much as they wrestle experienced DDT roster members or wrestlers from other promotions. It gives them the ability to pick up as many skills as possible and always makes for some exciting match-ups. In fact, the first match-up of DNA 16 features one of these more experienced talents taking on one of their newer talents. 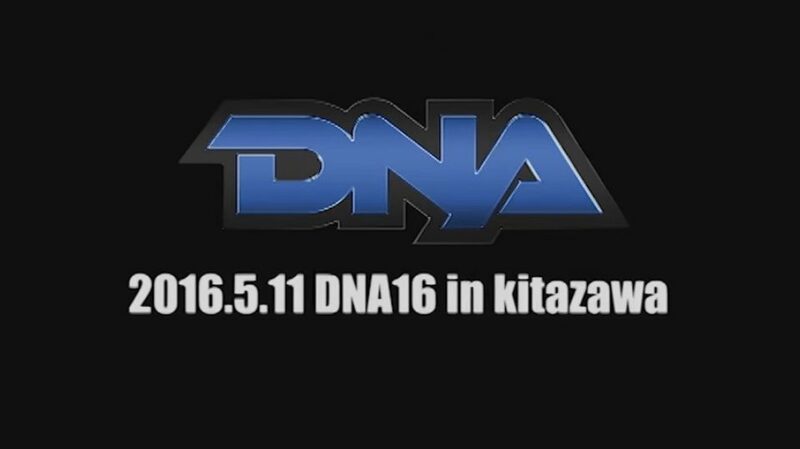 And an extra note: All of the 16 DNA shows are available on DDT’s YouTube page for free! 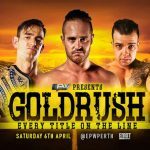 So if you’re behind and want to catch up or just want to get a look at the new talent, it’s easy. Tatsumi Tsukamoto and Takumi Tsukamoto are apparently the same person as every attempt I’ve made to figure out why he’s going by a different name here only leads me back to Basara’s roster page on DDT’s website, which spells his name Takumi. Either way, he’s a (former?) member of the B Faultless Junky’s stable with Numazawa, Kasai, and Takeda. He works a lot of Basara now, which makes sense because Isami Kodaka took quite a few of the Union Pro guys to Basara when he opened it. Also, I’m not entirely sure why he has a giant hammer now, but then there are a lot of things about Basara I’m not sure about. Rekka is a much newer wrestler for DDT and this is his second DNA match. He was introduced to the fans during one of the segments where Kenso was insistent on joining DDT; Sanshiro Takagi turned him down and introduced the fans to Rekka, a wrestler from Taiwan, instead. He also pops over to K-Dojo for the occasional multi-man match, and he’s been fun to have there and consistently delivers. Tsukamoto heels it up and mostly works from the top with wristlocks, headlocks, and chinlocks that Rekka endeavors to get out of. There are a few hope spots and Rekka hits his beautiful standing dropkick twice, a move the audience really enjoys. They get behind him hefting Tsukamoto up for a suplex but ultimately he ends up caught in a Grounded Manjigatame, a modified armbar. Show of respect before and after the match from Tsukamoto. At any rate, Rekka is improving and the audience has taken to him just about every time they’ve seen him, and Tsukamoto looked impressive with a spot where he just held Rekka’s body above his head. And he’s a much different worker than Guanchulo, Rekka’s first DNA opponent, so it was a nice change to the style of match he usually works. 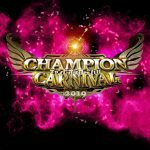 Makoto Oishi started off in Kaientai Dojo under the tutelage of Taka Michinoku and came to DDT where he seems to bounce around between pals, coming out to matches with Super Sasadango Machine and Danshoku Dino as well as being a member of the Kawaii Connection stable with Saki Akai and Ladybeard. 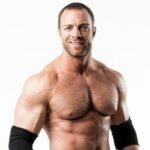 He’s typically a fun comedy character who can still do some impressive things in the ring. Rainbow Kawamura joined the club of injured DNA rookies who have suffered injuries, leaving as Tomoya Kawamura and coming back with the Rainbow character that so far has been a hit. Certainly Rainbow is funny and makes the crowd laugh, especially by making the referee clean his hands and being reluctant to be checked over for weapons. This is unsurprising in a promotion like DDT, where these fun and more colorful characters have always thrived. This was a pure comedy match where Oishi had the upper hand most of the time, displaying a more vicious side with strikes, head punches, and eye rakes. Rainbow spent a good deal of his time posing in various adorable fashions that made me remember Yosuke Santa Maria of Dragon Gate in her early days and also wonder why Rainbow wasn’t scouted for DDT’s new idol group along with Oishi, Mao Inoue, and Shunma Katsumata. What offense Rainbow did get in looked crisp and he had a nice body stretch going on for a bit (including a pose). He pranced around the ring and talked to the fans, and the fans seemed to adore just about everything he did. After accidentally spraying the referee in the face with cleaning solution, Rainbow ended up succumbing to Oishi’s Miracle Ecstasy, a one-handed falling chokebomb. Kouki Iwasaki is a well-known member of DNA and for a while, reigned as a KO-D Six-Man Champion with Shunma Katsumata and Kazusada Higuchi. He’s one of those guys who’s still in DNA but might not be far off from graduating, as his offense is usually very crisp and he seems to be able to navigate a ring very well for someone his age. Seeing him work against such a seasoned veteran is a good thing and possibly a sign of things to come. I expected this to be a lot more back-and-forth than the previous bouts and I was correct in that regard. Iwasaki looked excellent with his array of kicks and had a beautiful exchange of kicks and chops with Kenso. 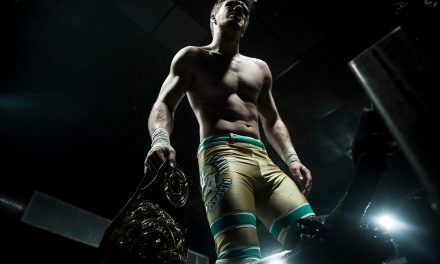 The fans were completely into his hope spots and kick-outs, from dragging himself to the ropes to break up a submission to being able to lift the larger Kenso over his head for a suplex. Everything he did looked excellent here. The way he wobbled for Kenso’s brutal slaps to the face was particularly good. It cannot be understated how well Kenso works in DDT. 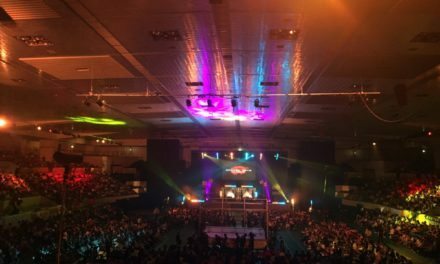 His communication with the fans and ability to engage them is particularly excellent, and that works well in a smaller setting like DDT that has a smaller fanbase. The women were all too happy to chant his name when he asked them to and overall, his presence in DDT has so far been a positive one. He was a good base for Iwasaki to work against and a unique challenge as he’s new to DDT, and the Diving Elbow Drop he used to finish Iwasaki looked good too. Rainbow Kawamura came out afterward to accept his challenge to a match and that should be a treat. Jiro Kuroshio who also goes by Ikemen is by far one of my favorite young performers today. His character of basically being cute and wearing different, gaudy-colored and patterned jackets somehow just works in his home promotion of Wrestle-1 and it especially works in the setting of DDT. He’s been improving by leaps and bounds lately so to see he’d stopped by DNA was particularly exciting as this is such a great setting for him to work in. He’s also wearing his watermelon jacket, which is by far my favorite of his jackets, so that’s a plus. Mizuki Watase has been getting more of a spotlight on the main DDT roster as the valet/boyfriend of LiLiCo. Because of the heel nature of her character, he’s also been adopting more of a heel alignment that’s set an edge to his work that looks great in a setting like DNA where most guys are either faces or play tweeners. This makes the sunshine boy of Kuroshio a great opponent for him to work with. Watase made it perfectly clear before the bell even rang that he was not here to play games, stalking up to Kuroshio like a predator and clearly giving Kuroshio pause. However, nothing can really throw Ikemen off his game as he opened the match with a flip and a smile for the audience. The beginning of the match saw plenty of shenanigans where Kuroshio dodged offense and celebrated armdrags with his signature open-jacket pose while Wataste appeared to be contemplating his entire life leading up to this moment. The second half of the match picked up the intensity when Kuroshio began working Watase’s arm, keeping him on the defense for most of the match with various arm locks, stiff kicks, and armbars. However, Watase was able to land several excellent moves such as a headscissors that dropped Kuroshio right on the top of his head and a double underhook DDT from the top turnbuckle. He almost had the match when Kuroshio reversed a pin attempt into an armbar and forced him to tap out, the added pain to his already injured limb forcing a submission. This match was part of the Team Dream Futures goodbye series as Shigehiro Irie, Keisuke Ishii, and Soma Takao had decided to stop teaming together prior to this and went on a last tour of matches together. The three have been partners for years and it was nice to see them come to DNA for one of their matches as the three of them are experienced workers on the DDT roster and, as a successful unit that works well together, are good for the younger workers to learn from. Kazusada Higuchi is one of the brightest stars of DNA with a background in sumo and an already incredible move set (and he peppers his sumo poses into his matches, too). He’s already had one KO-D Openweight Championship match against Harashima that is can’t miss. 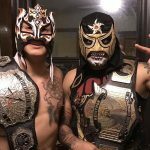 Guanchulo is a gaijin wrestler from Chile who mostly sticks to comedy matches and has a tag team with Shunma Katsumata called Los Amigos. He can also speak three languages, which is impressive. And Nobuhiro Shimatani is fairly new and incredibly young at only 21-years-old. He wasn’t supposed to be in this match, but Mao Inoue got injured and he was made to fill the hole. I don’t know anything about him, but he has leg warmers that match his gear and it’s sparkly, so I already like him. The first half of this match was built on top of the veteran team getting the most offense with poor Shimatani being continuously ragdolled once he was brought into the ring. Notably, the fans reacted like he’d been murdered when Irie rammed him into the corner and rightfully so as Irie seemed to be at least twice his size. However, the youngest rookie never backed down and fired back as much offense as he could, finally able to knock Irie off of his feet. Higuchi looked incredible as he can easily go toe-to-toe with Irie, something not everyone in DDT can do as Irie is one of the bigger men on the roster. And Guanchulo was able to show off his ability to fly a bit (though he also made sure to hit his comedy spots for the fans, too). Shimatani hit a beautiful dropkick and a flawless standing moonsault, and he knew how to work his spot in the match and work the crowd so it looks like he’s off to a good start. This match also allowed Soma Takao and Keisuke Ishii to shine as they are often overlooked in the grand scheme of things, notably Ishii. Both of them worked well as the savvy veterans who were able to trick their opponents into running right where they wanted them too. Ishii even made his win a little more impressive by stopping Shimatani from reaching the ropes by stepping on his head before sinking in his half-crab submission as deep as he could. Team Dream Futures celebrated another victory on their road to the end. Kota Umeda is a member of main roster stable Shuten-doji with Yukio Sakaguchi, Masa Takanashi, and Kudo. As Kudo is still out injured, Umeda has seen more time in the ring than most of the DNA boys and therefore has some of the most experience. When the Kumamoto earthquake occurred, though, he had to duck out of DDT to go help his relatives and he’s just only now making his return. He’s another one of the boys I figured might be making his graduation sooner rather than later, at least based on him already having a place on the roster. Shunma Katsumata is one of the men that everyone seems to keep an eye on. A high flier, he’s grown very quickly despite his young age and was also a KO-D Six-Man champion. He also seems to be one of the favorites with the fans and his team with Guanchulo has always been fun to watch. Given Umeda’s developing heelish edge after being with Shuten-doji for so long, the match itself should be an interesting one. And the match itself also makes sense in the context of Shuten-doji tried and failed to capture the KO-D Six-Man titles from Team DNA, so Kota might just have a little chip on his shoulder from that failure. There’s a lot to enjoy about this match. These two have worked together so many times in the past they’ve developed a good chemistry for guys their age. Umeda’s strikes are incredible for someone still considered a rookie and Katsumata absolutely refuses to let up on the offense even though Umeda is battling a slight case of ring rust from being gone. There’s clearly a score to settle here as Umeda is desperate not only to prove that he’s ready to be back and wrestle and that the loss to Team DNA was hardly the last of him. Katsumata works well as a high flier and seems perfectly comfortable climbing the ropes and flipping off of the top whenever it suits him, but multiple forearm exchanges with Umeda prove that he can throw strikes just as well. But in the end, Umeda’s ring rust was not enough to stop him from avoiding Katsumata’s Nebula Storm. A series of kicks, punctuated by a high kick and the Umeda Driver I, secured him the victory. DNA’s current crop of men put on an excellent show. The more seasoned members continue to look great as they work against each other and older wrestlers, particularly Umeda, Katsumate, and Higuchi, and newcomer Shimatani proved he’s more than ready to be here. 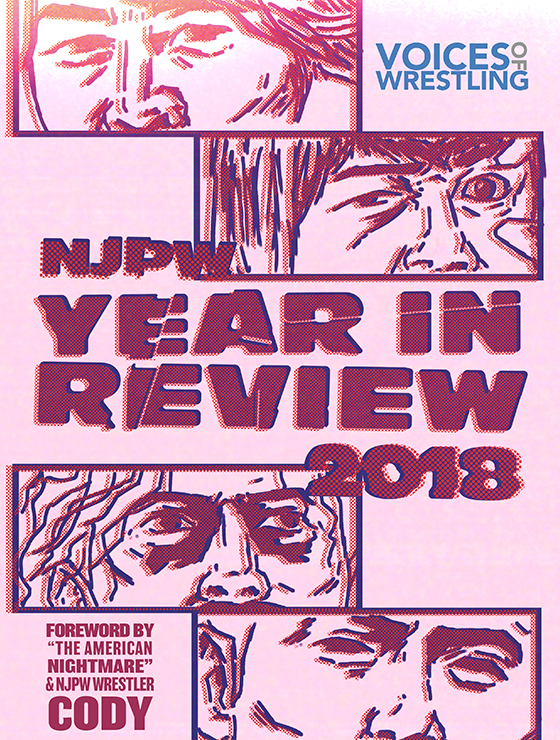 There was a match here for everyone and I strongly encourage anyone with the time to check out that main event match and see what these men can do. 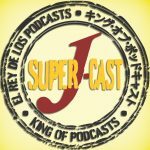 PreviousBest of the Super Juniors, NJPW Dominion, Slammiversary & more! 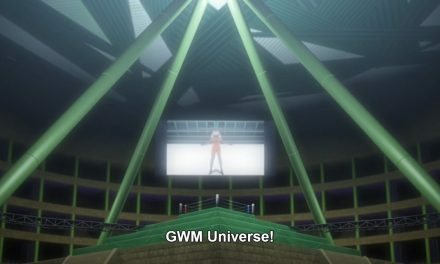 Tiger Mask W Episode 25 Review: Who is The Third?